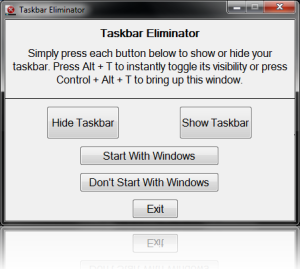 Aviassin Taskbar Eliminator is a great utility which will simply and efficiently remove the taskbar from Windows XP, Windows Vista, or Windows 7 & 8. 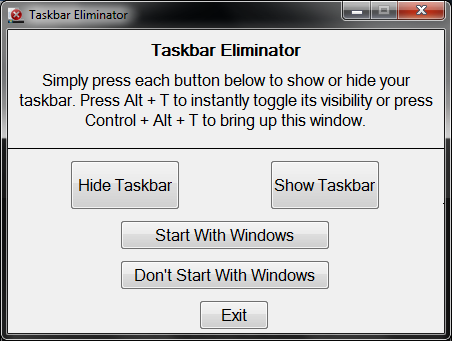 Taskbar Eliminator can easily be set to start with Windows, so your taskbar is automatically hidden before your computer is even started up. 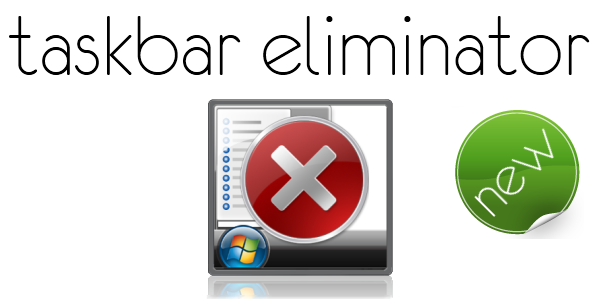 For more options please see our custom builds.